Dunkin’ Brands Inc. is an international donut, coffee, and ice cream retailer that sells these products under its Dunkin’ Donuts and Baskin-Robbins brands. Baskin-Robbins was founded in 1945 in Glendale, CA, and is one of the world’s largest hard-serve ice cream franchises, with more than 6,000 outlets in 35 countries. In the US, Baskin-Robbins operates 2,600 outlets and develops and sells a full range of frozen ice cream products, serving more than 3.7 million people each week. The initial investment for establishing a Baskin-Robbins franchise business ranges from $94,350 to $402,200. The other fees include the advertising fee of 5% gross sales, the initial franchising fee or $25,000 (20-year term), and the royalty fee of 5.9% of gross sales. Baskin-Robbins also offers franchise development incentives including 50% off the 20-year Initial franchise fee plus 10-year payment plan as well as reduced royalty rates for five years (Year 1: 0%, Year 2: 1.9%, Year 3: 2.9%, Year 4: 3.9%, and Year 5: 4.9%). Joorney Business Plan Writers have extensive experience in developing long-term financial projections for Baskin-Robbins franchisees. Baskin-Robbins franchisees can choose from a variety of traditional and non-traditional locations. Non-traditional locations are typically located within another host establishment and come in many shapes and sizes. These sites are located in high-traffic areas such as airports, casinos, colleges and universities, grocery stores, mass-transit terminals, and stadiums. Baskin-Robbins’ real estate and construction experts help all franchisees identify and find their shop’s ideal space. Joorney Business Plans offers a comprehensive location-based market analysis to meet the various needs of Baskin-Robbins franchisees. 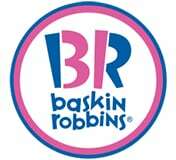 The franchisor administers the Baskin-Robbins Advertising and Sales promotion fund and directs the development of all advertising, marketing, and promotional programs in order to increase sales and further develop the reputation and image of the brand. The brand complements national marketing with local campaigns and integrates traditional marketing with new media for maximum impact. The company offers a comprehensive suite of promotional materials to franchisees to use for their own local shop marketing efforts. Baskin-Robbins occasionally creates programs for frequency and loyalty cards, and redemption of gift certificates, coupons, and vouchers. Joorney Business Plan Writers have experience in writing in-depth marketing strategies for Baskin-Robbins franchisees in line with the franchise agreement. Baskin-Robbins provides a comprehensive operating system designed to help build the business along with a high-quality training program that includes foundations, dessert operations, and restaurant operations training. The training takes place at the Dunkin Brands University in Braintree, MA and online. In addition, all franchisees always have access to an experienced field support team. Joorney Business Plan Writers have experience describing and developing personnel plans and linking the proposed individuals’ training to their designated roles. Baskin-Robbins has been constantly introducing new, exciting flavor combinations, as well as other ice cream innovations. The company’s hands-on, small business approach allows franchisees to create a strong presence in local communities around the world. By becoming a part of Baskin-Robbins you get guaranteed return on investment due to their historical performance numbers and internationally recognized brand.